Are you looking for water based entertainment for CORPORATE EVENTS? Does your corporate event take place at an aquarium or a pool which requires entertainment? Believe It or not these specialist synchronized swimmers have entertained and performed at aquariums around the world as well as many corporate water based events. There synchronized swimming abilities have taken them to various places including countries such as Qatar, Malaysia, the USA, Germany, Australia and Singapore just to name a few. They are recognized as one of the world’s best water based entertainment for corporate event shows ever. From indoor aquarium venues such as the largest aquarium in the world in Dubai mall, aquariums with in Europe and the USA, these professional synchronized swimmers have also featured in a number of launches and awards ceremonies that have taken place at aquariums worldwide. Their ability to perform in any type of water body or water park has given them the an advantage over any other type of water entertainment show and giving them that renowned status of being one of the best water based entertainment shows for CORPORATE EVENTS. 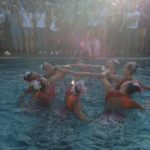 This synchronized swimming team has performed at the opening for major International swimming events as well as at private indoor corporate pool party events. 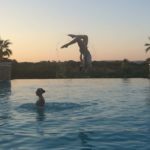 Their synchronized swimming abilities have also entitled them to perform and represent well-renowned swimming brands as well as launch a variety of products in different pools worldwide. 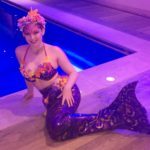 Being one of the top water based entertainment for CORPORATE EVENTS they have had to perform in front of large audiences as well as small intimate audiences around a pool side whether it be a fashion show that is revolved around a pool or a major organizations summer pool party. Their super synchronized swimming talents has also seen them feature in a variety of online media campaigns and featured on a variety of Instagram videos or YouTube promotional advertising videos. This entry was posted in Entertainment, Streets Utd News and tagged acrobatic water entertainment, corporate event entertainment, entertainment for corporate events, entertainment water show, pool party entertainment, water based entertainment, water based entertainment for corporate events, water based event entertainment, water based events, water entertainment show.